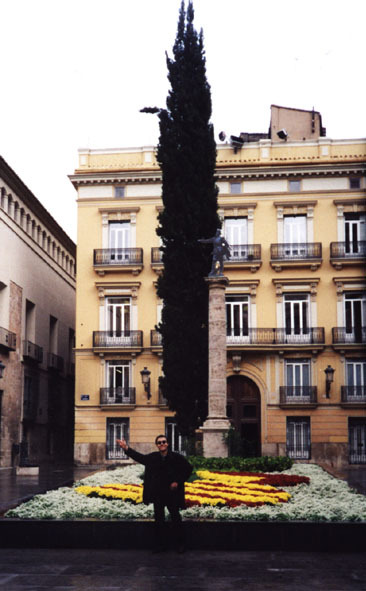 My 4th time in Valencia during my now 8 month lasting stay in Spain. All in all it's trip number 7 or so. 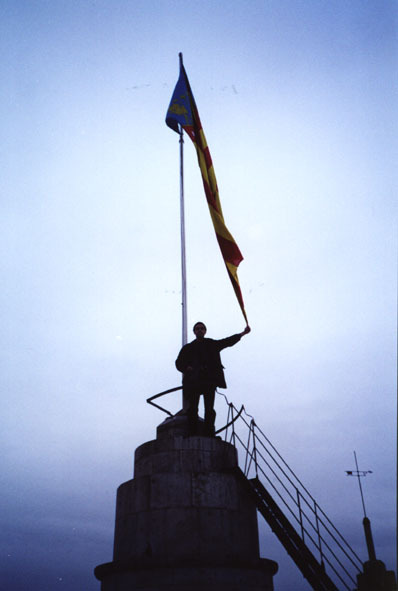 It is the continuation of the trip in the rented car with Jan and Marcus; before we made a stop in Cuenca. 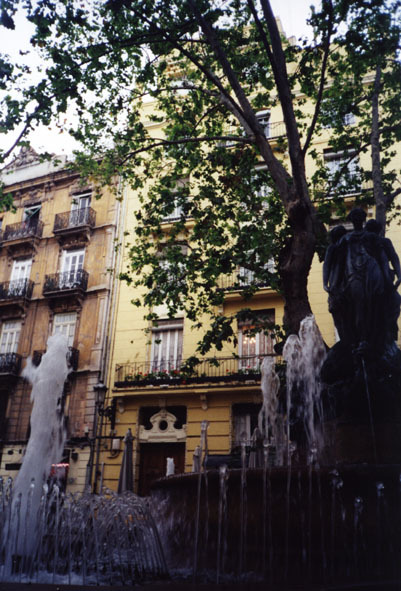 A fountain near the centre of Valencia on a quiet plaza. 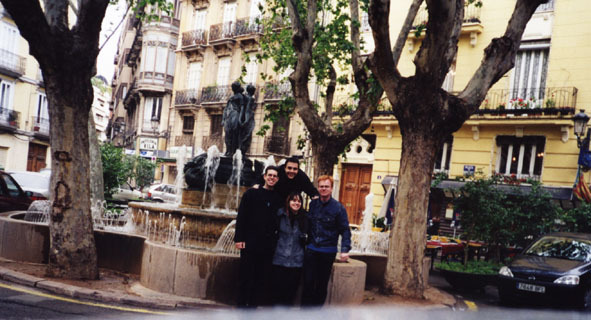 Jan, Tomasito, Cristina and Marcus. It was made from the roof of a car by a camera with "delayed-action shutter release" . (it was not the blue car that can be seen on the right of the photo). and part-time and half-way looking to the car (why does Cristina's head not look straight in the camera). And as can be seen: we succeeded! 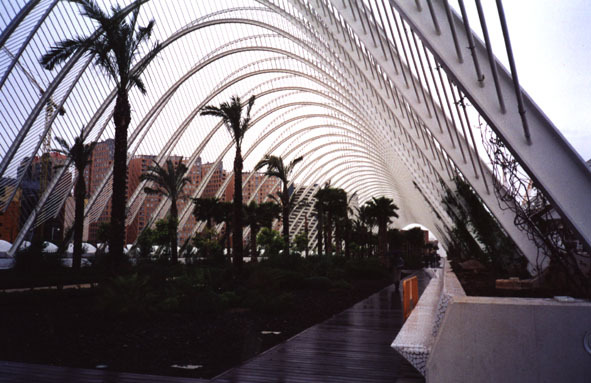 La Ciudad de las Artes y Ciencias. The Arts and Sciences City. Can you see the statue? It's pointing with its arm to the left. Can you see me? I'm pointing with my arm to the left.